Events not to be missed, October 21st to 25th, at the Salone del Gusto 2010. From the cooking-show of chefs to the sausage and honey tastings, there is plenty of choice. The Salone del Gusto in Turin is a melting pot of emotions and flavors, but is also a great crowd of sometimes questionable proposals. ItaliaSquisita chose the most interesting events and in some ways the most unusual, to experience the tastier culinary trip to Turin. Here are the food and wine events of the Salone del Gusto 2010: The Knight Dante Renzini, Ambassador of Fine Dining Made in Italy, presents in Piedmont earth his excellent wine and pork products, from Umbria (from the establishments of Norcia and Montecastelli: www.renzini.it) and from Puglia (from the Cellar- Museo Albea di Alberobello:www.albeavini.com). Several opportunities to sample the Soppressa Vicentina DOP (www.vicenzaqualita.org) alone or as a star ingredient in the delicious recipes with the wines of Colli Berici Doc and Vicenza Doc, from the red Tai. Mieli Thun (www.mielithun.it) presents Honey Park, a play area dedicated to honey and their interpreters. Italian and international beekeepers tell their experience by offering tastings of honey and derivatives products: honey beer, honey sapa, mead, pollen and nougat. Involved in several public meetings open to the public are the great chefs, pastry chefs and friends of the honey. Andrea Ribaldone from the restaurant “La fermata” Alessandria (www.lafermata-al.it) will attend the exhibition, at the stand “Alessandria”, to perform in an incredible cooking show in the kitchen "on sight" Scholtes and bring out the wonderful dishes as if he were in his restaurant. We anticipate some dishes: " Carne Fassona allevata al pascolo (Colli Tortona), battuto con cagliata lattica ovina, latte fresco di pecora, tartufo e erbe di campo "( Meat of Fassona from the Tortona Hills, with sheep milk curd, fresh sheep's milk, truffle and herbs), “Gnocchi di patate Quarantine di montagna”( Gnocchi of patatoes from the Quarantine Mountains) and “Sorbetto all’uva Moscato d’Amburgo (uva autoctona d’Alessandria), mela Carla e ceci” (Sorbet of grapes, apple and chickpeas). 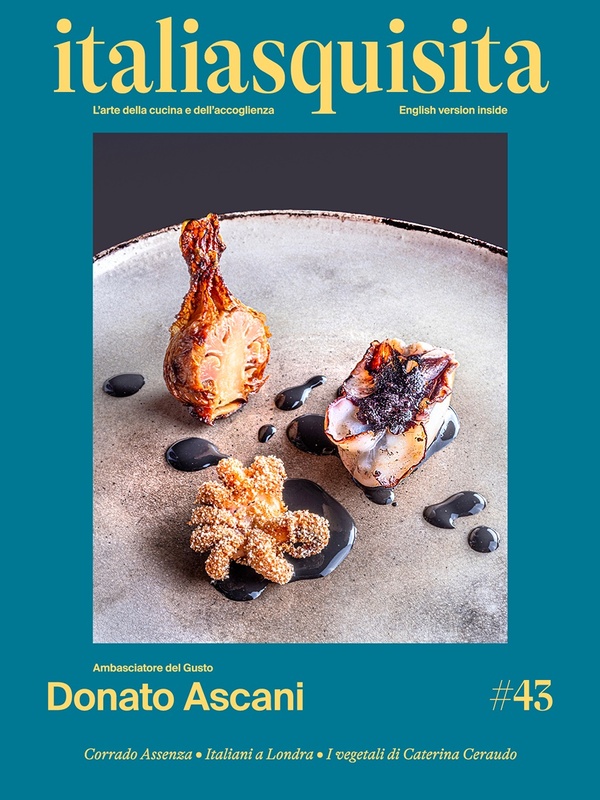 At his stand, Ribaldone invited other chefs - including Walter Ferretto, Damiano Nigro, Pier Bussetti, Lino Scarallo, Paolo Barrale - for a cuisine that combines the tradition of Piedmont to the one of Campania. For the "Outside the Salone", Paolo Parisi is active at the "Slurp" (www.slurptorino.it) participating, along with Chef Domenico D’Agostino, at the composition of a menu based on ... of course eggs! Among the more curious dishes: Egg at 61 flavored at the Mediterranean"," Pasta carbonara with raw egg and bacon Paolo Parisi ", " Egg mousse with crushed ice".